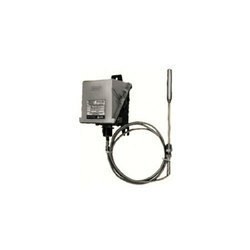 We offer Thermocouple Sensors And Switches such as Thermocouple Sensors and Thermocouple Switch. Switzer Series 720 / 730 vapour pressure and Series 770gas filled Temperature Switches are devices using thet i me- p r o v e n me c ha n i s ms o f S e r i e s 20 0 p r e s s u r eswi tches. The precision mechanisms are of stainless steel for arduousatmospheres and high humidity. Models 721, 723, 781 and 771, 773 & 774 have capillarysystems for remote sensing. Models 731, 733 & 734 haverigid-stem thermal systems.Several conveni ent standard temperature ranges areavailable. Setpoint is continuously adjustabl e over thei nstrument range. A cali brated scal e is provi ded forapproximate switch setting. 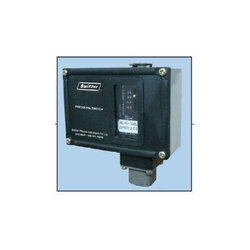 This compact version in Switzer series 600 Pressure Switches using components of high reliability is specifically designed for OEMs such as Fire fighting,Boilers, Power Plants, SPMs.The sensing Stainless Steel Diaphragm is welded to a Stainless St eel housi ng mount ed external to the weatherproof instrument housing.The mechanical movements are restricted to absolute MODEL DM 601minimum using a diaphragm sealed piston assembly which ensures long term stability.The instrument is in Pressure Die Cast Aluminium housing which is best suited for harsh and outdoor mountings.The sensing element and wetted part being AISI 316Stainless Steel as standard, it has high compatibility for process applications of air, gas, water, steam, oil and other chemicals. 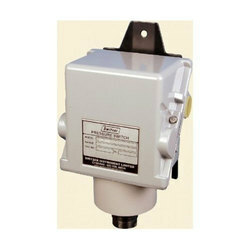 With rich industry experience & knowledge, we have been able to provide the best array of Pressure Switch.